Organ concerts must be the most visually unsatisfying forms of music. 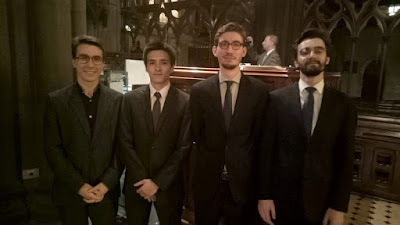 We were at St Patrick’s (Catholic) Cathedral in Melbourne for a concert by four young organists from France playing French music. The space is grand and the organ itself was impressive, if distant, with pipes and horns but I wasn’t even sure where the players were located until I noticed a head and some sheet music being manhandled. 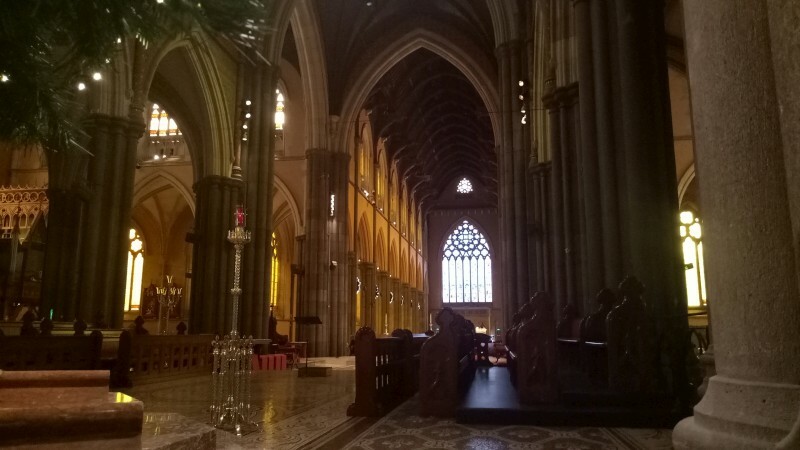 They were off to one side of the altar (under electro-mechanical control), hidden from our location in the western transept opposite (most of) the organ pipes. But aurally the experience was satisfying. 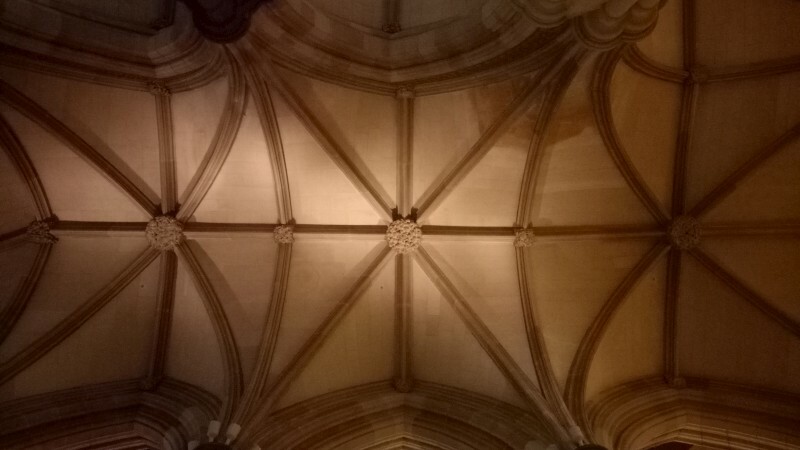 It started and ended with urgent, dissonant, profound and impressively loud religious works, Messiaen Apparition de l’Eglise eternelle and Dupree Le monde dans l’attente du Sauveur. The other works tended to lighter with more entertaining or indulgent themes, more exploratory of tone and time, often in 3, sometimes fugal, sometimes chordal with melody, often dance-styled, even skittish, from Franck, Alain, Faure, Duruflex2 and Dupre: preludes and fugues or variations, litanies, Siciliennes, courteges and one scherzo. This is music to close eyes by, not least given the visual stimuli, only to open them for a suited organist to appear for applause. 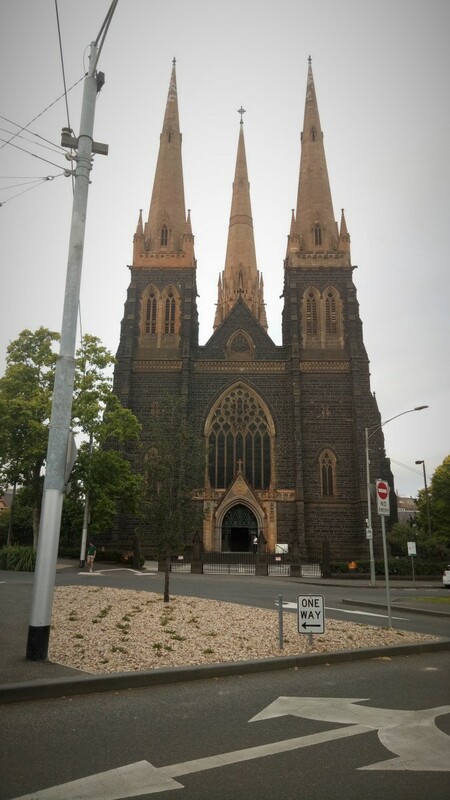 It’s a strange scene in a lofty building in the European tradition if a building sadly reminiscent of some more controversial characters in the Australian church. 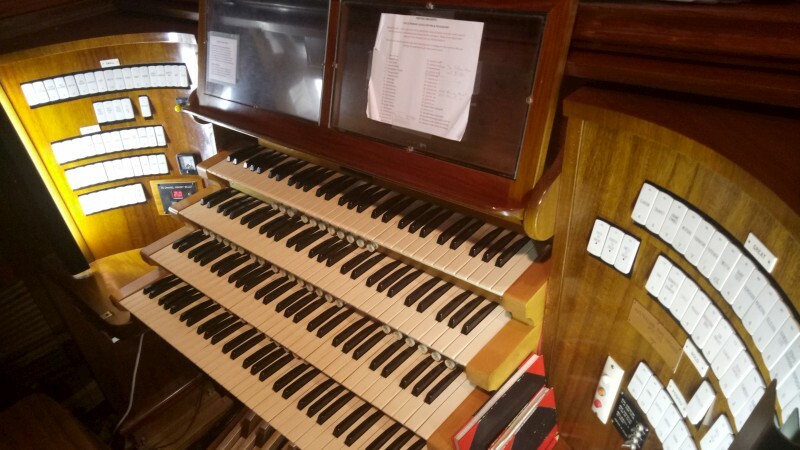 Organ music does tend to religious, if as much for the location of the unmoveable instruments, but this was informal and various and satisfyingly aurally indulgent. French students Alexandre Bonnemort, Jean Nouvel-Alaux, Jean Poitevin and Arthur Scandola (organists) performed at St Patrick’s Cathedral, Melbourne. Know what you mean about organ concerts not being visually appealing always. 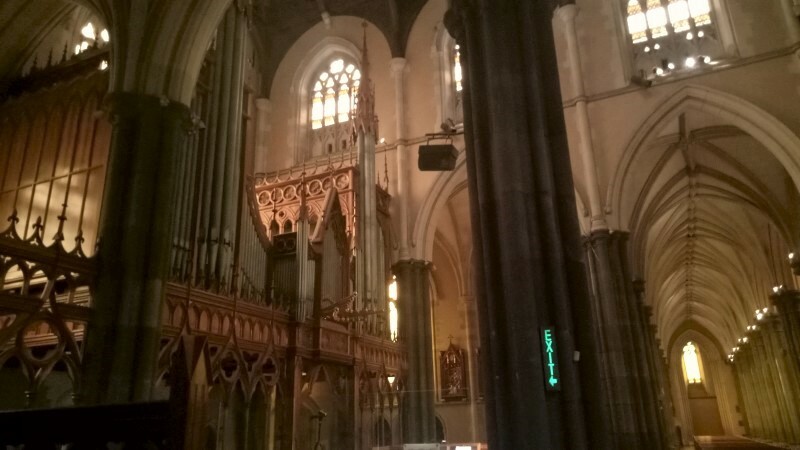 We went to an organ recital at St John's Reid a month or so ago, by David Reccia Chynoweth. Lovely it was, musically, but we were sitting in church pews facing the altar, while he was up in the organ mezzanine behind us (over the church entrance). That was really unsatisfying visually as you say.